The charming and often hilarious Forever Hilltop series follows the experiences of former city dweller Alex Armstrong as he settles into his new role as pastor of a Scandinavian community in rural North Dakota. Alex is sometimes baffled by his parishioners and their colorful ways, but he comes to appreciate their simple wisdom. 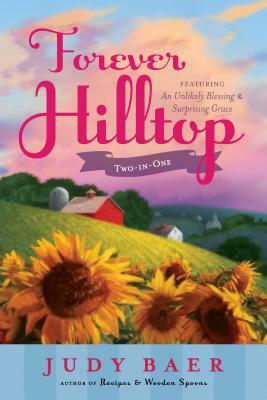 One thing's for sure -- life in Hilltop Township is never dull! This new two-in-one format features An Unlikely Blessing along with its sequel, Surprising Grace. In An Unlikely Blessing, Alex Armstrong is a former city dweller who has just accepted his first parish assignment to a small community in the wilds of North Dakota. In Hilltop Township, Pastor Alex becomes familiar with the residents and their odd traditions, from julebukking to King Oscar's fish balls. And then there's the excitement the single pastor creates among the unmarried women in the community! Alex soon discovers that his new church home has as much to teach him as he has to teach them. In Surprising Grace, Alex Armstrong is settling into his new role as pastor of Hilltop Church, and he's even starting to understand the strange ways of the people who populate this barren stretch of North Dakota prairie. But he also finds that his flock needs help and counsel like he never imagined. In this cozy and entertaining read, Alex must choose between the woman he once loved -- and the home he's come to love.